36. בֹּא רְאֵה, הַקָּדוֹשׁ בָּרוּךְ הוּא יִשְׁתַּמֵּשׁ עַל יְדֵי הַכֹּהֵן, וְיִמָּצֵא קָדוֹשׁ כְּשֶׁבָּא לְשַׁמֵּשׁ, וּמִשּׁוּם שֶׁהַקָּדוֹשׁ בָּרוּךְ הוּא יִשְׁתַּמֵּשׁ עַל יְדֵי הַכֹּהֵן שֶׁהוּא קָדוֹשׁ, הַכֹּהֵן יִשְׁתַּמֵּשׁ עַל יְדֵי טָהוֹר, שֶׁהִתְקַדֵּשׁ בְּטָהֳרָתוֹ, וּמִי הוּא? זֶה לֵוִי. אָדָם (כֹּהֵן) אַחֵר יִשְׁתַּמֵּשׁ עַל יְדֵי קָדוֹשׁ אַחֵר, כְּדֵי שֶׁכֻּלָּם יִמָּצְאוּ בִקְדֻשָּׁה לְשַׁמֵּשׁ אֶת הַקָּדוֹשׁ בָּרוּךְ הוּא. אַשְׁרֵיהֶם יִשְׂרָאֵל בָּעוֹלָם הַזֶּה וּבָעוֹלָם הַבָּא, שֶׁעֲלֵיהֶם כָּתוּב (ויקרא כ) וָאַבְדִּל אֶתְכֶם מִן הָעַמִּים לִהְיוֹת לִי. כַּמָּה פְרוּשִׁים הֵם יִשְׂרָאֵל בִּקְדֻשָּׁה לְשַׁמֵּשׁ אֶת הַקָּדוֹשׁ בָּרוּךְ הוּא, זֶהוּ שֶׁכָּתוּב (שם) וְהִתְקַדִּשְׁתֶּם וִהְיִיתֶם קְדֹשִׁים כִּי אֲנִי ה’ אֱלֹהֵיכֶם. The Holy One Blessed be He is the Endless Light and he needs a pure priest to serve him as a channel. The Levites in the Holy Temple purified themselves before helping the priests in their work, so the priests could be pure and holy to serve and draw the Light to the world. The Zohar praises the Israelites for their special relation with YHVH. They have merits in this world and in the world to come. The Israelites have the Torah and its laws, which is a system that purifies them and can bring them to holiness. The Torah testifies to this special relationship. Many Israelites’ souls reincarnated among the nations of the world and now with the Light of the Zohar their souls are awakened. Those who feel their Israelite soul stronger in their heart and blood, should make the efforts to study and connect to the Torah through the Zohar. It’s the only tool that can purify all the layers that created distance between the their souls and the Light of holiness that radiates from the Torah. Many feel the ‘calling’ and come to study the Zohar but they have some level of connection to their previous spiritual teachings. Most of them are christians with appreciation to the teaching of Jesus. They need to make a decision if to go 100% with the Zohar or stay with what they were born with. They can definitely keep the moral teachings but they must drop the faith in him as God. It goes against the first commandment and therefore is void. Many ask me if I believe that Jesus was a Kabbalist. My answer is a definite NO. He was a good Jew and maybe studied Kabbalah but he made a mistake when he saw the decline of the faith of his people but didn’t encourage them to stay with the Torah. He had the power to influence many people to stay on the righteous path of the Torah but the outcome was a state of separation from the holy, creating a new faith. Adam made a big mistake in the Garden of Eden that made him lose the existent state of immortality. God disconnected him from the elevated system. Adam and all of us have to go through hard work to earn the Light. Jesus and those who followed him were punished for not having the Holy Temple restored for 2100 years. Their faith was simplified just to stay with the belief in God and the Final Redemption. Jesus was not a Kabbalists because he didn’t teach the Torah in its sacred form as the Zohar does. His disciples didn’t write any of his teaching in Hebrew or revealed secrets of Kabbalah. A true Kabbalist would never make himself a God or allow his people to make him God. 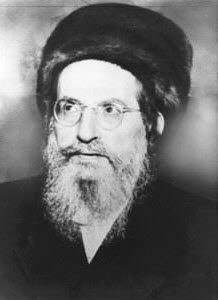 He was not a kabbalist. Period. Believing in two spiritual systems won’t benefit anyone. It may even attract judgments because of the impure state of faith. Elevated state of the soul and holiness can be achieved only by studying and following the Zohar (Torah) with pure and complete faith in YHVH. Elijah the Prophet scolded the people for worshiping YHVH and other Gods at the same time. They drew Light from YHVH and drained that Light to other side. That was creating judgment and it was time to stop that. Read Elijah’s words in 1 Kings 18:21. Read the entire chapter for the whole story. We are coming closer to the revelation of Mashiach and people must trust YHVH, the Torah, and the Zohar as the most powerful tools to reveal Light in the world. Remember the First Commandment and be holy.